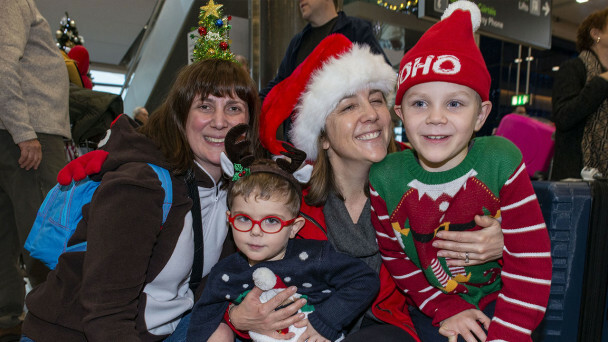 In the days leading up to Christmas, there’s not a dry eye in arrivals halls in airports across the country as family and friends return from abroad. Screams, hugs, banners, choirs and ebullience prevail as sons return from service in south Lebanon, daughters fly back from New York and families emerge from baggage exhausted after a long trip from New Zealand with their new baby, meeting its grandparents for the first time. It’s overwhelming, emotional and where beautiful life moments occur, before everyone heads back home for a big fry with softened Irish butter and fresh soda bread. This year, Dublin Airport is expecting its busiest Christmas ever, with 1.1 million people passing through departures and arrivals, 100,000 of whom will come from far-flung places to spend Christmas at home. 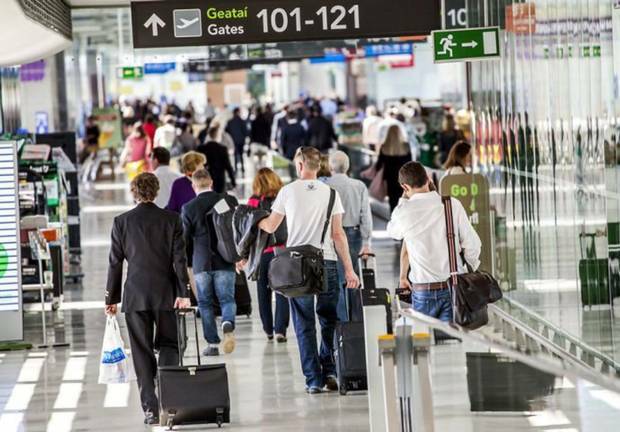 CSO figures show that 34,000 Irish nationals left the country this year, down from 46,500 in 2012. Clearly, despite the high cost of living, childcare, high taxes and extortionate rents in urban centres, people seem to be staying put – for now. Time will tell when we start packing our bags again. I’m anticipating 2020. I’m always contemplating if I’d be better off here or abroad. In continental Europe, people have a higher quality of life, superior amenities and more sunshine, so why not move to France or Spain, where at least the weather is better? Or Switzerland, where I’d have a wine cellar and a ski rack on a normal salary. Things that seem standard in other western countries when you have a good career are much more difficult to achieve here. But is the grass greener? Having lived abroad many times, I’ve learned that in order for emigration to work, you need two things: like-minded people around you and security in the form of family, a home, a job, a husband, wife or partner. You can have a great job, money in the bank, a nice pad by the sea and all your ducks in a row, but if you don’t meet like-minded people, being abroad can get terribly lonely. Unless of course, you don’t like people. For me, finding like-minded souls is a miracle these days. I aspire to having a great friend when I land somewhere, who will share their like-minded friends with me when I get there. The dream of winging it and hoping for the best in terms of work, friends and accommodation – as the Irish did back in the 1980s, when they arrived in the Lower East Side in New York at a friend’s loft, with a few dollars in their back pocket and aspirations of hanging out and finding work – is gone. Firstly, no one lives in Manhattan or any centres any more unless they’re really wealthy. The unfortunate reality of city life means commuting from suburbia each day. The visa situation, not just in the US but even in countries like South Africa, makes the dream of moving away off your own bat so much harder, impossible even. During the brain-drain years, Irish people would often start off on J-1 visa and then wangle their way into getting a green card eventually. But now, moving to America doesn’t have the same appeal. Firstly, the chances of getting in on a lottery is 0.15pc. Then there’s anxiety over guns plus, like the rest of the world, it isn’t as much fun any more. Due to globalisation, social media and the internet, the voyage of discovery, the trip into the unknown, the notion of never coming back, is gone. The scenes at ferry ports from the early 1900s, when people left to pastures new never to return, will never happen again. Emigration has changed. Moving away is still wonderful at different stages in your life. But many of those coming home this week can’t move back for good because of living costs. Abroad, they have a place of their own; they have done their cost-benefit analysis. But most would agree at this time of the year being home at Christmas is priceless.